Problems and diagrams are rewritten. No claims of profit are made. 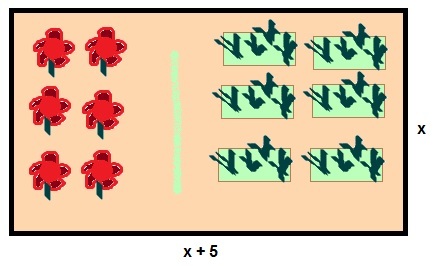 In this case, Width = x, Length = x + 5, and Area = 300, with width and length in feet, area in square feet. 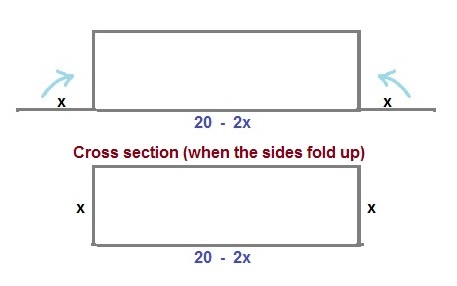 Which leads to x = 15 and x = -20. In this case, negative lengths do not make sense, hence the solution we are looking for x = 15. 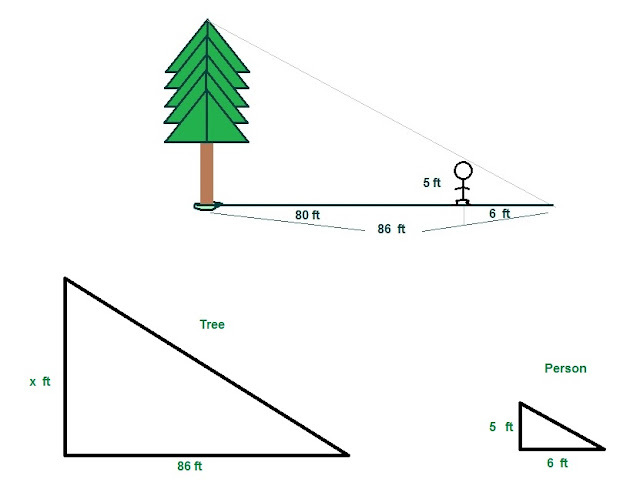 To conclude, the Width is 15 feet, while the Length is 20 feet (15 + 5). The height of the tree is 71.666666 feet. Let Point 1 (x1, y1) represent Bangkok (-115, 170) and Point 2 represents Phnom Penh (65, 70). Hence, Distance =√( (-115 – 65)^2 + (170 – 70)^2 ) , and Speed = 400. The plane will take about a half an hour to travel from Bangkok to Phnom Penh. 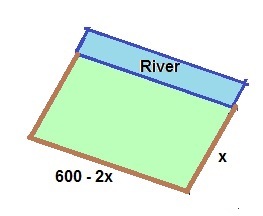 x ≈ 9.3 in and x ≈ 0.7 in. There is no specification which measure is preferable, so both answers are acceptable. The equation is in the form of a quadratic equation y = a*x^2 + b*x + c. In general, if a < 0, the quadratic equation will have a maximum at x = -a / (2*b). From (I), a = -2, b = 600, and c = 0. Since a < 0, we will have a maximum at x = -600 / (2 * -2) = 150. The sides will have 150 feet by 300 feet. The maximum area is 150 ft * 300 ft = 45,000 ft^2. Let n be a integer and frac(n) be the fractional part function. For example, frac(28.38) = 0.38. This determines the number of pedals a rose gets. The rose is represented by the polar equation r = cos(n*θ). If n is odd, the rose has n petals. If n is even, the rose has 2*n petals. Don’t forget to play sometimes. Math can be really fun when you let go.